The detail on this human skull bracelet is quite something considering how small it is (measuring just 3/8" wide and 5/8" high, quite frankly you won't believe how realistic this thing looks) - and it took an amazing amount of time to carve in all the tiny anatomical details. New tools were made to carve the teeth. 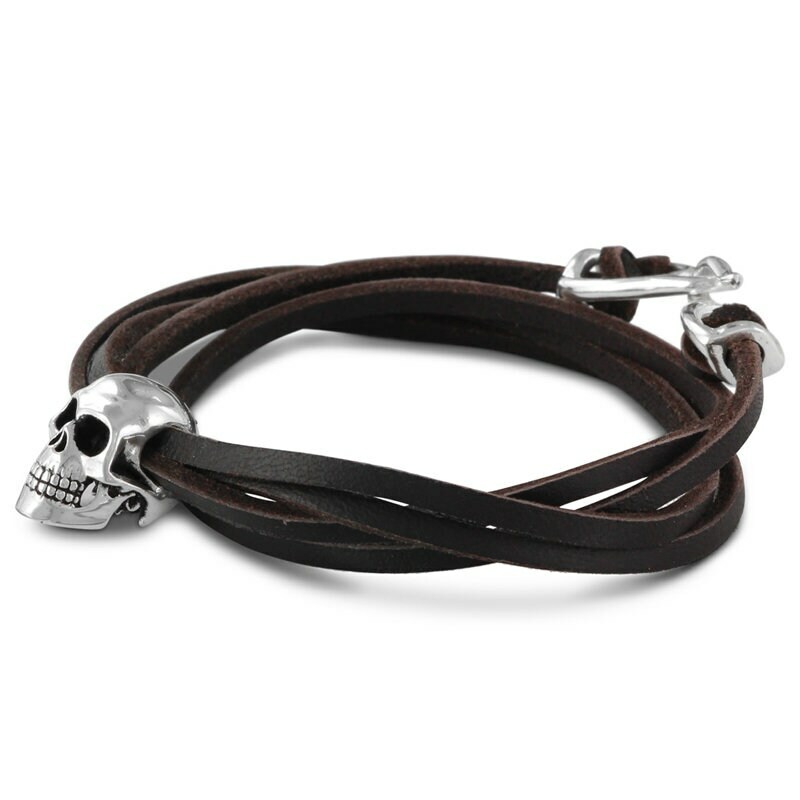 The balance of the skull is perfect, and it sits on your wrist with no small amount of badassery. 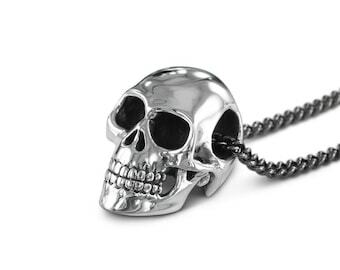 Completely hand-carved, the skull is cast from the finest white bronze, and thickly plated in silver. Finally a patina is applied to the skull to bring out all the tiny details - you'll want to show this guy off. For the anatomically minded no detail has been spared, with careful attention paid to the tiniest bone structures on the skull. 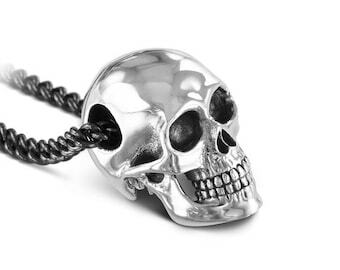 Even the underside of the skull is captured perfectly - something you'll just have to see to believe. That skull-bracelet-shaped hole in your life? Time to fill it. There's just under a meter of either black or brown leather so there's plenty of room for maneuver - it will generally wrap 4 times around your wrist and looks great. The more you wear it, the better it'll look. The bracelet is closed with our signature bronze Lost Apostle clasp, which allows the guys and the gals to adjust the bracelet to any size you like. Article conforme à la photo et de très bonne qualité! Very nice piece! A little hard to get on the wrist nicely, but awesome once you get it. Thanks! Bracelet is nicely crafted...highly recommend. Excellent communication with seller!